Our final seminar until September is THIS Saturday. If you're here on Florida's Treasure Coast, we hope you'll join us and bring a friend! See all the info in the left column below. Many of you know that Joyce is the musical director for the Broadway musicals at Port Saint Lucie High School and I just want to encourage you to see this summer's production. Seussical The Musical is a fun-filled show with tons of music. If you've ever seen a show at Port Saint Lucie High School, you know the level of talent and showmanship that Patrick Madden's productions always have. 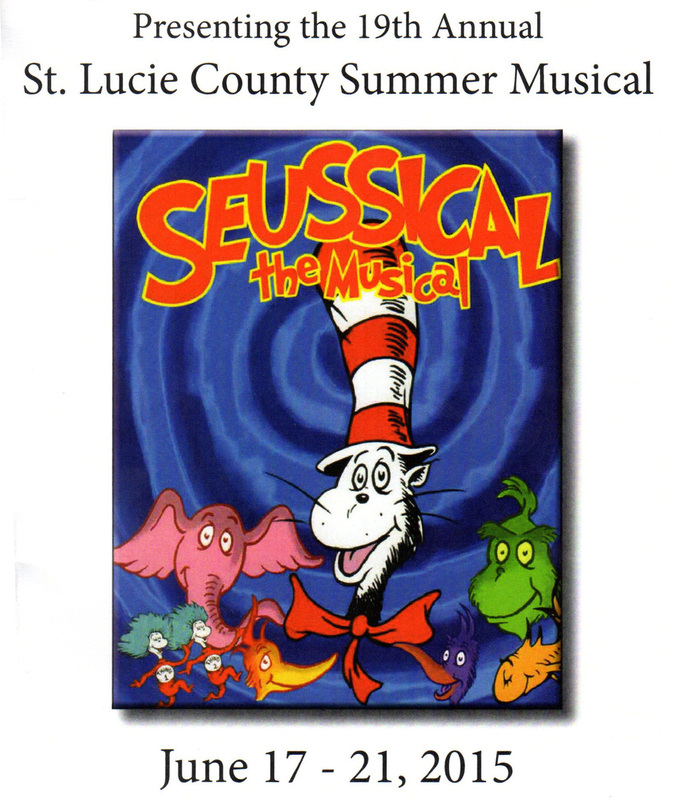 If you live on the Treasure Coast, please click on the Seussical The Musical banner above and get all the information you'll need. We hope to see you there! Our Question of the Week involves switching from a Windows PC to a Mac computer. We hope you'll take a few minutes and read our answer. Just scroll down! Saturday, June 13, 2015. This will be our last seminar until September. In addition to our regular donuts, cookies, etc., Joyce will be making some hot breakfast dishes so come prepared to eat! Our seminars are still only $8 per person. In addition to the food, we'll have some prizes to give away for those who stay until the end. 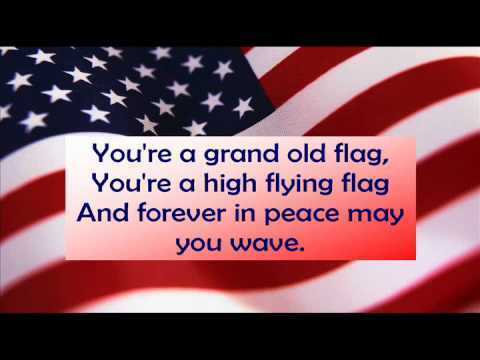 Our seminar this month is entitled "She's A Grand Old Flag." Question: "My kids are insisting that I get rid of my Windows PC and get a Mac. My questions for you are: Do you sell Mac computers? Will my Remote Technical Support (RTS) subscription still be needed? Will I have a difficult time learning to use a Mac?" Answer: With the popularity of the Apple iPad and iPhone, we hear this type of question more and more. Many of the "younger" generation like and own the Mac computer and think that their parents and grandparents should have one, too. Hopefully, our answers to today's questions will help you decide what's the best route for you to take if you're thinking of switching. "Do you sell Mac computers?" The answer is "Yes, we do." You should understand, though, that Mac computers are proprietary - meaning, only Apple makes them. Because of this fact, anyone who sells Mac computers will have pretty much the same selling price. Often, we might be able to save you $20 or $30 on a particular Mac computer but rarely much more than that. There are other reasons to buy from us which have nothing to do with price - like service after the sale. "Will my Remote Technical Support (RTS) subscription still be needed?" "Absolutely!" Just like Windows PCs, Mac computers need updated. That makes the four quarterly checkups included with RTS just as important as with a PC. Additionally, you can have the same kind of issues with a Mac that you can have with a PC: email attachments you can't open, emails that come back without getting delivered, etc. Also, although there are few viruses for Macs, there is lots of Malware that can affect a Mac computer. (Last year, 300,000 Macs were infected with Malware in one week's time. Malware is that nasty stuff that causes unwanted pop-ups and can take over your browser, navigating you to unwanted and sometimes dangerous websites.) We have lots of Mac computer owners using our RTS and, if you switch to a Mac, you can keep on using our service! Finally, the third question: "Will I have a difficult time learning to use a Mac?" The answer to this question is the Microsoft answer: "It depends!" Mac computers don't work the same as iPads or iPhones so even if you are used to using these devices, there will be a learning curve if you switch to a Mac computer. Some differences between a PC and a Mac aren't major but they can be a little annoying. For instance: on a PC, the controls (icons) for manipulating a window are in the upper right-hand corner (think about the X to close the window); on a Mac computer, those controls are in the upper left-hand corner. Again, not a major difference but after you've looked to the upper right-hand corner about a hundred times, you will be annoyed. There are other differences, of course, and how quickly you can learn to navigate through the new operating system depends on how easily you can learn new things. You are the best judge of your memory and your ability to take on new skills. If you have any further questions regarding this week's Question of the Week, feel free to email us and we'll get back to you! We will have two webinars in June. Look for the announcement soon in our blog and in our next Question of the Week email.